Home » How-To Library » What's a Line Set? A line set is simply a pair of copper tubes that connect a condenser to an evaporator. 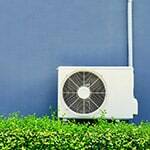 In the case of a mini-split system, the line set connects the indoor and outdoor units together, where the outdoor unit (condenser) supplies the indoor unit (evaporator) with refrigerant. You'll notice in these sets that one line is larger than the other. That's because the smaller tube, the liquid or discharge line, carries dense liquid refrigerant to the evaporator where it can absorb heat. The larger tube, called the suction line, carries lighter gaseous refrigerant back to the condenser where the heat can be rejected. 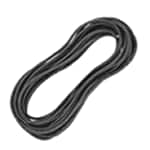 The refrigerant and vapor in the lines is continually recirculated in a loop to provide either heating or cooling depending on the direction of the flow. If your system has a heat pump feature, the flow is simply reversed to provide heating. 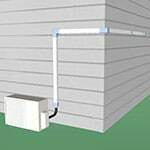 For most residential applications that use a single indoor unit, you’ll only need to purchase one line set. For multi-zone systems, one line set per indoor unit is required and you’ll need to make additional considerations such as distance, total line length, and diameter, in order to be sure the system will function properly. Some multi-zone systems may require a branch box that is situated between the outdoor and indoor units and will require its own line set to connect to the outdoor unit. Depending on the application, you may need a larger or smaller diameter line than the standard fitting you'll find on your unit. For these situations, you will need to use a port adaptor to make those connections, which may be included in your system. Many people mistakenly think that these adapters will restrict the flow of refrigerant and are tempted to either modify the existing line to work or revert back to the “standard” sized line. However, these adapters will not restrict flow and will allow you to use the properly sized line regardless of the fitting size. 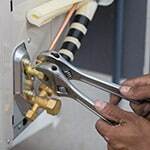 Always follow the manufacturer's recommendations for proper sizing of refrigerant piping connections. There are two accessories that you need that'll make your life a whole lot easier. 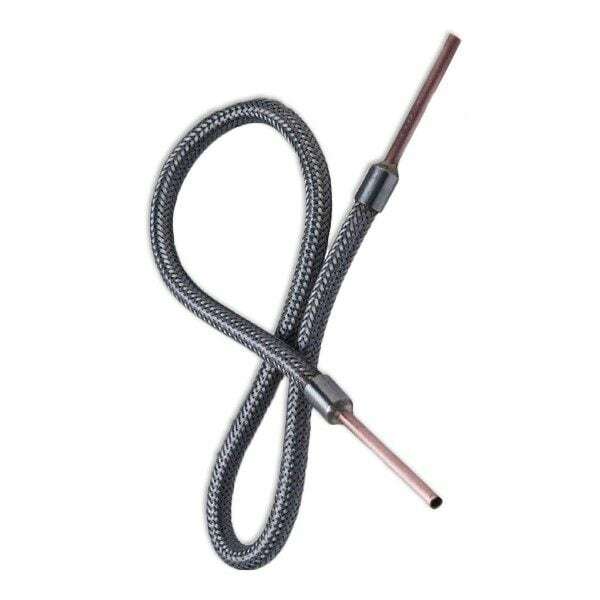 The first one is called Rectorseal NoKink and is a flexible refrigerant line connector just for mini-split systems. It connects the line set to the evaporator head unit and eliminates the worry of kinking the lines, hence the "NoKink" name. Another must-have accessory is a ball valve that makes servicing the refrigerant lines a breeze. Featuring a Schrader valve for quick charging, the ball valve allows the system to be serviced without having to evacuate all the refrigerant out of the lines, which is definitely a necessity for multi-zone systems. Line sets come in different sizes based on multiple factors including the brand of mini split, number of indoor units, condenser size, and distance between units. The list goes on, but you should always check your installation manual to get the proper sizing requirements for your particular system. Although the size of the line set is predetermined by the manufacturer, you'll notice that the size of your mini split system has an impact. The greater the tonnage or BTU's, the larger diameter line set the system will require. Line sets for mini splits are available in multiple, corresponding sizes, with the first number indicating the diameter of the liquid line and the second number indicating the diameter of the suction line. For instance, a small (diameter) set contains a 1/4" liquid line with a 3/8" suction line. While a larger line set contains a 3/8" liquid line and 3/4" suction line. Determining the total maximum line set length allowed by your specific system is crucial when you are planning out the location and placement of your indoor and outdoor units. When measuring the distance, be sure to take into account important factors such as bends and corners around the house, vertical rise, and thickness of the walls. The last thing you want after you've already installed your system is to find out that the indoor unit is too far from the condenser and doesn't work properly because you've exceeded the maximum length requirement. The distance between units and the number of units also plays an important role with respect to the refrigerant in the line set. All mini-split systems come from the factory charged with refrigerant. This factory charge is often sufficient for the majority of installations, but if you are using longer line sets, you may need to add additional refrigerant to make sure your mini split operates properly. The installation manual included with your system will contain complete details regarding when additional refrigerant is needed and how much must be added. You want your system to run trouble-free and at peak performance for years to come. Here at eComfort.com we painstakingly source the best products from trusted manufacturers to make sure the line set you purchase will be the highest quality that's made to last. Our line sets and accessories are made out of copper and manufactured to last longer due to a special heat-treating process called annealing that allows the metal to flex without kinking or breaking and are backed by a manufacturer warranty for up to 5 years. They also feature flared ends for easier installation that don't require brazing, cutting installation time and costs. 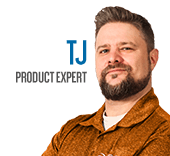 Finally, they come with at least 1/2" of insulation that is UL listed for weather resistance and is rated for smoke and fire, making them safer. Now that you know what line sets are, the next thing you'll want to know is how to hide them to give your setup a complete and professional finish. What's a Line Set? - How to Choose the Perfect Mini Split Line Set. Our heating, ventilation and cooling equipment how-to library can help you pick the perfect comfort solution for your home.